The best way to transport anything. ​At James Dyer Transport we specialise in all of your transportation requirements, and we do so at the highest level of professionalism. If it's a luxury car, perhaps a vintage car or even your new Motorbike, we'll collect it and bring it right to your door, so you can sit back and relax. We do the job properly. Based in the heart of the Cotswolds, James Dyer Transport provides fully secure transport services for a huge range of clients. From luxury car manufacturers like Aston Martin, to somebody purchasing their new vehicle, we cover everything that your transportation needs could possibly require. At James Dyer Transport we provide prompt delivery of your goods, to anywhere in the UK. Not only do we do delivery services in the UK, we cover Europe as well. Whether it's France or Spain, Italy or Belgium, we can get your goods to you safely and in a timely manner. No job is too big, no job is too small. Getting the job done. Professionally. With over 30 years of experience in the transportation business, you know your vehicles are in safe hands. We have drivers of all abilities, from HGV drivers to Van drivers, you can be confident that our drivers will deliver your goods to the highest standard. There is no compromise on service at James Dyer Transport, we go the extra mile to ensure that the job is carried out the way you expect it to be, and then some. We take great pride in our level of professionalism, and have delivered thousands of vehicles in our time. We know exactly what we're doing, so you can be confident the job will be done, properly. If you're still unsure about our services, we understand. 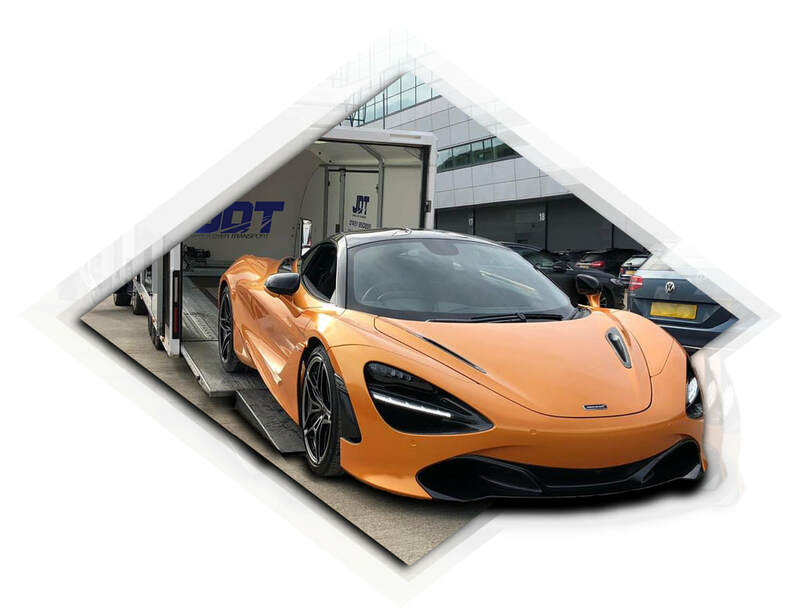 You can browse our fleet to see the range of vehicles we utilise to move your goods, or if you're still unsure if we can help you with your specific job, browse our gallery to see some examples of the vehicles that we move on a daily basis. Whatever it is you need moving, all of our vehicles are fully tracked and secure, with regular updates given throughout the journey, so you can remain stress free waiting for your delivery. Whatever the job, we do it professionally and to the highest standard. Secure & tracked vehicle transport. No stress. With the likes of Aston Martin, Audi and BMW trusting us to move their vehicles, you know that you're in good hands. We have specialised, fully secure and GPS tracked vehicle transport facilities that allow us to ensure every vehicle is delivered on time, and in a premium fashion.